Welcome to American Fork Dental Center! Dr. Craig Rosvall has been a member of and serving this community as an outstanding dentist for over 30 years! He is loved and respected dentist by patients of all ages, many who come from all 4 ends of the state to utilize his expertise in dentistry. From routine dental needs to cutting edge technology, including implants, Dr. Rosvall and his team strive to create experienced, comfortable and caring visits for each patient. 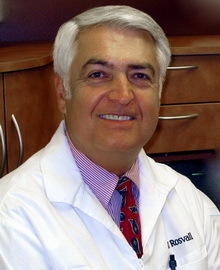 Dr. Rosvall is committed to offering you and your family the finest oral health care possible. Our team will work together with you to help you create and maintain your perfect smile. Routine cleanings with our skilled hygienist and regular examinations insure that you are on the right track for outstanding results and a lifetime of good oral health. Our friendly and knowledgeable team members are here to help you manage your account and will help you utilize your insurance programs and our in-house financial plans. By focusing on the needs and wants of each patient and by giving them exceptional service, our dental team will help each patient achieve healthy teeth and beautiful smiles, creating the confidence they deserve. We are located only two blocks south of American Fork Hospital and we offer our dental services to the Utah Valley area including American Fork, Lehi, Highland, Alpine, Pleasant Grove, Orem, Lindon and Provo. If you live in any of these areas and are looking for an affordable dentist to treat you with top quality service, give us a call. ©2019, American Fork Dental Center - American Fork, Utah. Online presence management by Ovalmint.